What does it take to create a dream like wedding venue? FNP Gardens hold pride in all of its larger than life venues. One of the most extravagant out of all is ‘The Riviera’. It is one of the most sought after venues for grand weddings in Delhi NCR. It is located at The Ambience Island, Gurugram which is one of the prime locations in the town. Presently, this splendid venue is going under a makeover to redefine the new terms of opulence. The whole idea behind it is to upgrade ourselves with better prospects. There will be so many additions to The Riviera that will be worth looking forward to. “The new décor of the venue has a complete Art Deco styling with the new world look but maintaining the old world charm. It is designed with larger than life scales, glitz and glamour with an understated style statement that FNP is best known for.” Says- Lalita Raghav, Vice-President, FNP Weddings and Events. The Riviera can also customized as per the taste of clients and it will boast a grand 150′ walkway with the state of the art installations as well as passage hangings. 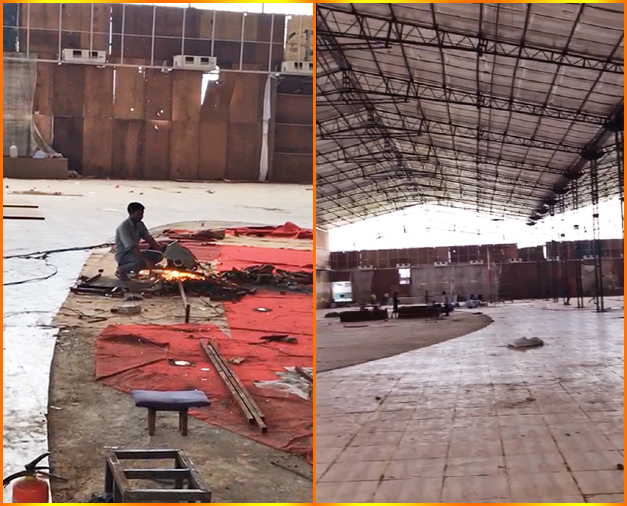 The newly designed venue will also be having the largest dining area with special seating for family Dinners / Sajangot. The key highlights that will be added in the new design will include larger than life teardrop chandeliers, splendid light art installations, exquisite floral arrangements and unique props. The bar of the venue will have a front of the bevelled mirror and backdrop with white & gold tiling as well as a round mirror. 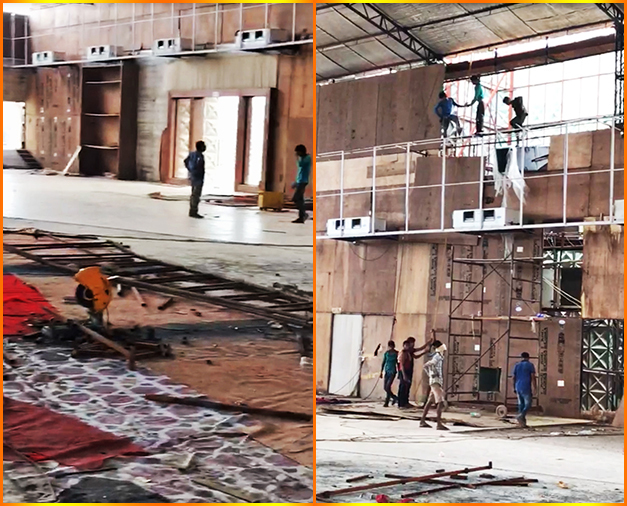 Meanwhile, the whole new design of The Riviera is under construction which is expected to come out as one of the outstanding wedding venues in Gurgaon with new and innovative additions.